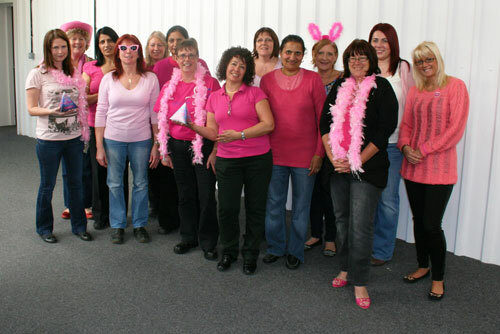 The team at SOS has frequently got involved with fund raising and charity events over the years. Earlier this year Super Hero Friday saw everyone dressed accordingly, including our own incredible Hulk and Captain America. On Friday the 25th October, everyone took part in Wear It Pink, hosting a cake sale to raise money for Breast Cancer Research UK. 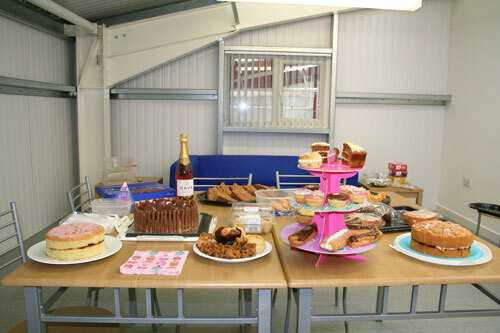 The Ladies (and Men) at SOS got their baking caps on, bringing in a range of home-made delights and a chocolaty raffle prize. Together we collected over £150. Thank you to everyone who took part. The pink feather-boas can be put away now until next year! Breast Cancer Campaign UK currently funds around 100 projects worth over £16 million in 35 locations across the UK and Ireland. By ‘wearing it pink’ you become part of a collective force of scientists, supporters and people affected by breast cancer. Together, the mission is to beat this disease by funding ground-breaking research. In 2012, £2.1 million was raised by wear it pink supporters and this money is already funding world-class research across the UK and Ireland that saves lives.